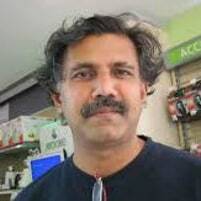 Srikanth Sankaran is an OpenJDK committer and has been working on the javac compiler for the past 1.5+ years contributing to JDK8, JDK9 and Project Valhalla. Prior to that, Srikanth was the Lead/Architect at IBM and for 6.5+ years had worked on various components of Eclipse JDT/Core, most notably on the Java compiler, Code assist, Java model and DOM/AST projects. Srikanth led the Java 7 and Java 8 implementation efforts in JDT/Core as the co-lead and lead architect respectively. Srikanth has 20+ years of experience mostly in R&D organizations producing compilers & language tools - with contributions in the areas of C/C++ compilers, debuggers, profilers, class browsers, IDEs, memory analysis tools, static analysis tools and the like.